In order to discover how large format digital printing has come about, it’s important to start when printing began – almost 600 years ago! In 1436, when the printing press was invented, this method of transferring ink on paper or fabric revolutionised communication and society in general. Arguably the most influential event of the millennium, printing allowed businesses to reach more people than ever before and it changed the way people and businesses communicate forever. Six centuries later, we are still influenced by this amazing innovation of German goldsmith Johannes Gutenberg; though huge advances have taken place in order to make printing more refined and cost-effective since the first press was invented. With the digitalisation of printing processes, image quality has improved significantly, as has the time it takes to print material – from small and medium print runs, right through to large format digital printing. For example, the dye transfer process that used to be done in dark rooms required a lot of hands-on management, not to mention expense. Previously, when a company wanted to have something printed, the decision process was fairly straightforward. Offset printing was the natural – and only – choice for the majority of printing jobs. Over the last decade, however, there have been enormous advancements in digital printing. Many printing firms now provide this new technology in order to allow companies to communicate with customers more effectively than ever before. Confused about offset printing and large format digital printing? Offset printing was the only printing method in use up until the year 1990. Today, even though its popularity has decreased, it is still used for almost half of all print jobs. This printing method is based on a very simple principle. Water and oil repel each other. Usually, an image or document is burnt on to a plate, shifted to a rubber blanket and printed on to plastic, paper or cloth. During the printing process, the parts of the image that need to be printed pull the ink towards them, while the non-printing parts of the image attract water. This means the ink-free parts of the image are not shifted to the finished printed material. While offset printing is common for high volume commercial printing, it is not recommended for projects that require fewer than 500 copies. Offset printing jobs have a fairly high initial set up cost and are not usually an economical option for small runs. For example, accurate proofing can be highly expensive. Digital printing, on the other hand, involves lasers. Common examples of digital imaging are the prints we get from our home printers. Digital printing is quick and remains the cheaper option for low volume printing jobs. Even large format digital printing usually doesn’t require a minimum order amount and each print turns out exactly the same. Digital printers use the CMYK colour model (C = cyan, M = magenta, Y = yellow and K = key black). Colour accuracy is far better than offset printing, which uses the RGB color model – red, green and blue. Another advantage of digital printing is that you can get a proof of your print quickly at no – or very little – cost. This proof will be the exact replica of your final printing job. Digital printing is not only affordable for small print runs; it also allows you to customise your printing material according to your needs and preferences. Digital printing has been defined as a break-up market with more than 12 distinct market segments that match into two sub-divisions: print-for-pay and print-for-use. In the first category comes the photo labs, digital and commercial printers, sign retailers, screen printers, quick printers, prepress outlets, etc. The second category includes large format digital printing. Large format printing works when the document to be printed is encoded in discrete, digital dots at a variety of resolutions. 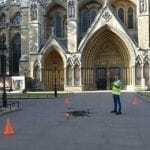 This offers versatility and enables scanning into storage mixed with manipulation of data. 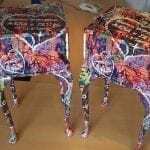 This kind of printing has low set up costs, no minimum volume and can be easily done on photographic or common paper, cloth, film or plastic in order to produce very high quality images. The ongoing – and growing – trend in the printing industry is to digitally print customised merchandise onto any type of material with just one click from a PC to the printer. In this context, the initial value of the large format digital printing has to be taken into consideration as it’s applications are almost endless, e.g. it can enable businesses and individuals to print on to a vast array of different products. 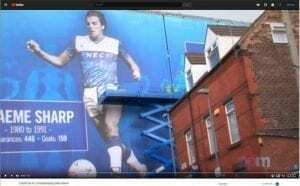 Though large format digital printing is still relatively new, its popularity is spreading at a rapid pace as more and more organisations take advantage of this excellent technology. The size and shape of any digital print can be easily modified using design techniques and an array of colours can be added at the click of the mouse. The results? Brilliant designs and colours that for eye-catching retail displays, pop displays and other many display graphics. 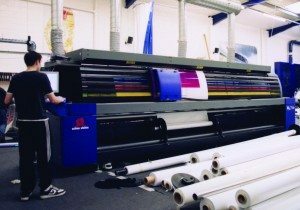 Most businesses are already aware about the benefits of this new technology and are reaping its benefits by incorporating large format digital printing into their marketing activities. 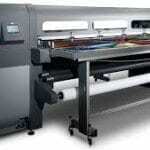 Large format digital printing supplies and equipment are now readily available at reasonable prices. 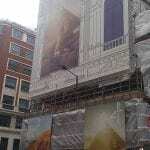 A well-known example of large format digital printing is a billboard. In the print industry, the integration of digital applications with advertising can provide stunning results, thereby enabling businesses to create impactful advertising for their brands, products and services. With PPM, any business can fulfill their printing needs within time and budget. As an affordable substitute to expensive signs created from wood, steel or other expensive materials, creating billboards and banners with large format digital printing is more cost-effective. Due to the requirements of many large format printing projects, the finished material is usually resistant to different weather conditions, e.g. rain, wind and snow. In fact, the end result can even last for years. Full colour banners are often used as part of integrated marketing campaigns. 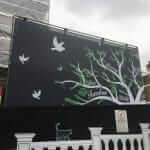 For example, your billboard may include a website address that encourages passers-by to visit a certain URL. This allows prospects to engage further, e.g. find out more – and buy – your products and services. Large format digital printing also gives you the option to customise your design. For example, let’s say you need three different designs for students, professionals and the elderly, however the copy needs to change slightly for each target audience. Large format digital printing provides this versatility, meaning you can target these different markets with separate copy and/or images. Most companies like to use different sizes of banners and posters for different campaigns. This enables them to use some posters as hoardings while others can printed on flex and pasted on buildings or at locations that have a higher traffic flow. Nowadays, there is a tendency to digitally print onto many substrates (i.e. textiles) leading to customised and fabricated merchandise, shaped with the help of computers. Large format digital prints can feature on huge wall scapes, building wraps, transit graphics and giant outdoor displays. Large format prints have a larger than life approach in advertising and can create a huge impact with your target market. Printing today allows businesses to design posters of any scale. Even though most large format printer can sometimes only reach about 16 feet in width, layering can create larger images. 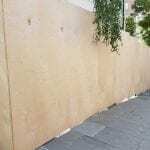 These can cover a building two or three times over, as long as there’s a flat surface big enough to accommodate the image. 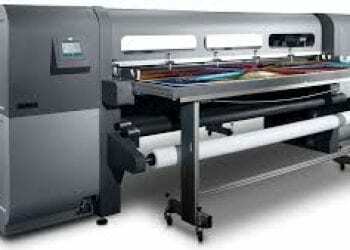 Large format digital printing used to be affordable only to large brands. However, technology has now made it possible for smaller businesses to enjoy its advantages. It is all about making an enormous impact on your target market – and, of course, converting prospects into customers. Printed Hoarding advertising is now a relatively cheap way to establish a brand presence. 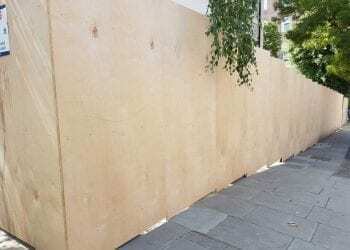 Using Project Print Management printing services, you can create building site hoardings that are both unique and have a long life. High quality artwork is required for good digital printing resolution in order to ensure a remarkable end product. Project Print Management has invested in the latest state-of-the-art printing technology, using vibrant colours that make your advertisements highly visible from a distance – stunning prints that are produced at an astonishing pace within your budget and deadline every time. As a creative leader in large format digital printing, PPM provides services that are not only fast, but solutions that will help you to create a bigger and better impression of your brand. In today’s competitive marketplace, it is more important than ever to create the best possible impact in the minds of your customers.